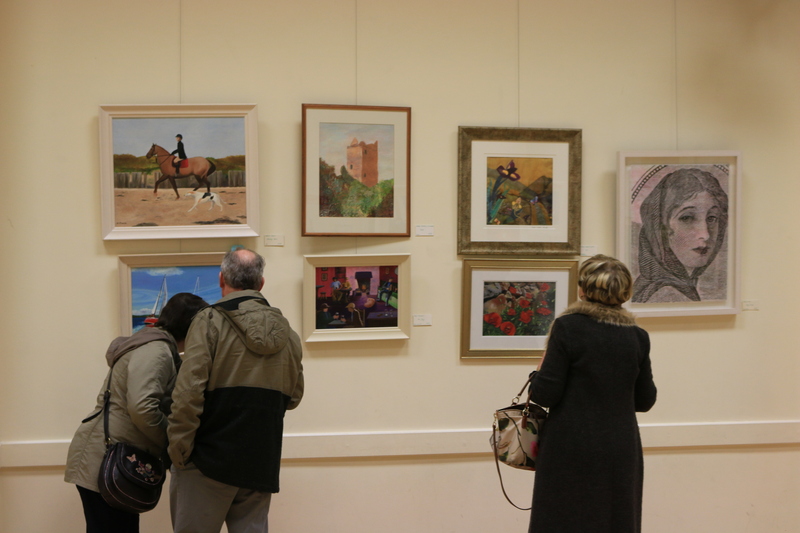 A huge thank you to all who supported the Douglas Union of Parishes Art Sale and Exhibition on 8th to 10th November! We kicked off on the Friday night – a great social occasion as we toasted the exhibition and our guest speaker Elmarie Mawe (from 96FM’s The Art’s House programme). Elmarie very kindly opened the exhibition as well as giving us a plug on her show. We were delighted with the more than 140 paintings (embroidery, tapestry, mixed media etc., etc.!) 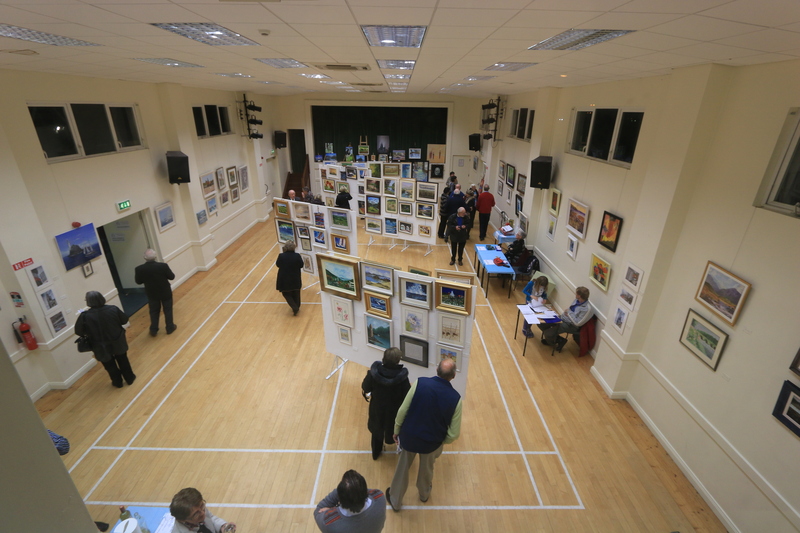 submitted by over 40 talented artists and all who came commented on the quality and quantity of work on show. The exhibition was open all day Saturday and concluded on Sunday but not before the final raffle prizes were drawn! Children too had great fun at their competition prize giving with treats and slushies as well as admiring all the highly creative entries. All in all it was a great way to meet up with friends old and new and enjoy the fabulous paintings. We are also delighted to have raised €4,500 for parish funds. Many, many thanks to all who worked hard to make the exhibition happen, those that came along and of course to all our very talented artists!